BGO Casino Review 2019 | Is This Online Casino Legit? 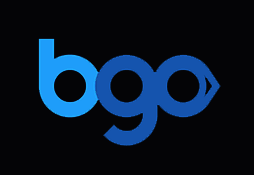 BGO – pronounced ‘Be-Go’ – is a cheeky online casino site that started life as a bingo only site. As a result this site features a stronger array of bingo games than you will find in most online casinos, but the emphasis has definitely shifted to general casino gaming these days. The casino is fronted by Verne Troyer, the small gentleman you may remember as Mini-Me from the Austin Powers movies. Troyer, known as ‘The Boss’ in this casino, epitomises the sense of fun and showbiz that this betting site is all about. There is a good selection of gaming options available here apart from just bingo. There are plenty of slot games from a wide variety of providers. You will also find a good choice of traditional casino table games as well. This selection of games includes a good selection of the always important live dealer casino table games. BGO Casino is part of the Mandelay Gaming Holdings Group, a company with offices in the Isle of Man which also operates the popular Costa Bingo site. BGO was initially known as XBingo before changing its name and its direction to focus on the more general casino gaming market. The Casino has a license from the Alderney Gambling Commission and the British Gambling Commission. It hosts a wide selection of games from a variety of different game producers. This means that the site can boast different styles and types of slot games, rather than being powered by just one company. The site has a humorous style which is reflected in their design and advertising campaigns. So what kind of bonus should you expect from ‘The Boss’ at BGO? In fact its a pretty generous one, albeit a welcome package aimed squarely at smaller bankrolled clients. Where some online casinos offer enormous bonus amounts which require very high levels of deposits in a short window of time, BGO is taking a different approach. They offer an extremely generous 400% welcome bonus, but the amount you can earn is capped at £/$/€120. Basically that means you can max out your bonus offer by making a £/$/€30 initial deposit. This is a very, very attractive offer for players who just want a bit of fun. However, if you plan on depositing hundreds or thousands, this offer is probably not for you. The selection of payment methods available at BGO Casino reflects the limited number of countries which are able to play at this site. You can use Visa, Mastercard, Maestro, Skrill and Neteller to deposit at the site via either desktop or mobile. If you are just using mobile, then you can also use Boku, a service which allows payments to be made with your mobile phone number. This casino is mainly aimed at British players, and the choice of payment methods will fully cater for UK residents. However, for players outside of Britain there may be restrictions which means that your favourite payment method is unavailable. British players can also use PayPal as a payment method, but this is not offered outside of the UK. If you are a fan of bingo who also likes playing slot and casino games, then you have come to the right place. BGO has kept its existing bingo audience happy with a strong selection of games for them. On top of that they have now added about 150 slot and casino games, which will not be sufficient for everybody but still covers a lot of bases. The fact that many different game designers provide games is a definite plus. This means you get a good selection of different slot games. There is a great live dealer section with customised tables, offering different options like Hi-Lo and 7 Seat Baccarat as well as the standard roulette and blackjack variations. The British market is one which demands high levels of quality customer support. Given the UK focus of BGO, it is no surprise they deliver on professional and speedy client assistance. You can get in contact via email, by sending a form directly from the site or by writing a letter to Alderney. However, a big minus is the fact you cannot get immediate assistance either by phone or live chat. Also, customer support is only available from 8:30am to midnight (UK time) which will not suit everybody. Sometimes there is a problem which you want immediate assistance with, and that is not something that BGO are able to offer, unfortunately. BGO is a charming little casino site, which has not lost touch with its bingo origins. The site features a clean design, and adds a humorous touch thanks to the promotional material featuring Verne Troyer. The welcome bonus is very good in percentage terms, although this site is clearly not aimed at big-time casino players. Also, the wagering requirements of x50 to release bonus funds are quite high. If you are a UK-based bingo fan who enjoys dabbling in other casino and slot games, then this might be the perfect site for you. People who don’t meet those criteria may want to look elsewhere.